Are you overwhelmed by Lightroom? I can help you learn the essentials in just a few hours! To get started, you don't need to know every single thing Lightroom can do. We'd be here for weeks! Instead you'll learn only the essentials you need to get started and no more. These 22 short videos total a little over 2 hours. You'll be able to watch each bite-sized piece, then complete the steps on your own photos, and in half a day you'll be off and running with Lightroom. Many people buy Lightroom, open it up, and find it so overwhelming that they close it and never use it again. It doesn't have to be that way! I'm Anne McKinnell, a photographer, writer, and nomad. Six years ago I transformed my life to become a full-time nomadic photographer. I was able to leverage my skills in business and technology, and my passion for photography, to build a new career. Now I live in an RV full-time and travel around North America photographing beautiful places. My photographs have been published in online and print magazines, on the cover of magazines, and in many instructional photography books. People like my teaching style. They say I can take complex topics and make them easy to understand without using a lot of “techno lingo.” My style is to communicate only what is necessary and get to the point. There is no fluff. FOR THE FIRST TIME I CAN SAY "I UNDERSTAND"
I'm a bit of an introvert and rarely offer feedback, but this time I have to. I just watched your Launch into Lightroom course and for the first time, I can say, "I understand". I had taken other LR courses, even an extensive Udemy course and nearly gave up. Lightroom seemed counter-intuitive to me...until today. Anne, thank you. I have been using Lightroom for a couple years, mainly to organize my photos, with sporadic attempts to make minor adjustments to some of the pictures. After watching Anne’s video series, I am now much more confident and efficient at using Lightroom and its tools to process my photos. Anne gives a practical step by step tour through the software by processing her own new photos, and then explains the editing tools with clear demonstrations on sample photos. She rounds all this out by showing you how to modify the software so that only the panels you need are displayed on the screen, simplifying and reducing the chances for confusion. The videos held everything you promised. I caught on immediately. This wasn't my first attempt at using LR, but somehow I never got the hang of it before. Learning how to import, organize and switch back and forth between library and develop now seems so easy after watching your videos. Your video modules were perfect in length. If I wanted to go back and review any point I hadn't understood or didn't remember from the first time around, I didn't have to plow through 30 minutes or so of a video to find what I was looking for. Each module focused on one learning element. I also liked the pace of the videos - you moved from one action to the next at just the right speed for me to follow and digest. No stopping-starting to catch it all. It took me less than a week to feel at home in LR. I have been using it for over a month now and haven't looked back. I had given up on Lightroom due to its complexities, but after seeing Anne's video course everything now makes sense. The numerous bite-sized video approach helped to get me started again. Anne's voice is amazingly relaxed & easy on the ear. Lightroom is my go place when I am “cooking” my Raw photos, and now, thanks to the course, my family gets to see the photos I take. I found Anne's video course very easy to understand and the way she broke up each component was perfect, as was the flow of work. There was enough information in each component for a beginner like myself without being overwhelming. The pace of the course was very nice too. It gave a very realistic workflow that made sense. An excellent primer on Lightroom directed at the novice. Anne's narrative cuts right to the heart of the program and guides the beginner along by showing how things work without drowning in extraneous detail. There is a wealth of info contained in Lightroom that may be irrelevant to first time users. Anne is very wise in that she shows how to turn off many of the program's functions that can overwhelm the novice and, instead, concentrates on those tools and functions that beginners will most likely need and actually use. Once one is conversant with Lightroom's basics, then, the user can explore all the other facets of this program. The various chapters are short enough and to the point that the user can easily revisit the ones of most interest or relevance. I highly recommend Anne's Lightroom Video Course to anyone just starting with Lightroom. This course has been SO MUCH help! I learned more from your lessons than I had learned from any other Lightroom training I have taken. I like the short, targeted lessons, which allow me to practice each skill right away. The short lessons are also great for me, because my brain can only hold so much new information at one time. AND I can easily find any topic, if I need a “refresher.” Thank you, Anne! Anne McKinnell’s video course is a perfect fit for those of us who want a quick and easy guide to Lightroom. I tried other Lightroom guides, but always gave up because of their complexity. What I like about this course is that each lesson is short, simple, and slow enough so that the viewer can follow along on their own computer. Also, the pace is right on target. I sailed through the entire course in an afternoon. The next day I tried Lightroom with some new images of mine, and found that the key information remained in my memory; I didn’t have to go back. If you are in need of a quick and easy way into Lightroom, this course is for you. I have just viewed segments 1 - 3 and wow, it is great! Not too much information in one hit, very pleasant to listen to, clear and concise! Your course is just what I have been looking for and I feel ready to launch into Lightroom now. You sure make it seem a lot more user friendly for the beginner. Brilliant! Your course is perfect for the beginner and beyond. I have used Lightroom for 2-3 years now and this course was a perfect way to reinforce what I already know and to add to my knowledge base. Your teaching manner is clear and enjoyable. Being a former teacher I value those skills - which are not necessarily found in many online courses! Thank you so much for this wonderful course. I’m looking forward to more that you might offer in the future. Although I have used Lightroom for a few years now, I definitely learned useful techniques, like how to create develop presets and export presets. Anne's teaching method is clear, detailed, and deliberate. Learn Lightroom Basics in just a few hours! The risk is all on me! 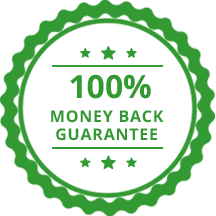 I am so confident that you will love the course that I am giving a 30-day money back guarantee. I want you to be happy with the course. If you're not, just email me within 30 days of purchase and I'll refund your money. The videos total 2 hours and 10 minutes. You will receive a zip file that contains 22 videos. Forever. You will download the videos to your computer so you can watch them anytime. What version of Lightroom does this cover? The videos were made using Lightroom 6, but the methods used are applicable to any version of Lightroom. Since the Lightroom interface does not change much between versions, you can use any version of Lightroom that you have including CC. Can I watch it on my tablet or mobile device? Absolutely, you can watch it on any device anytime. You can pay with PayPal or with a credit card. Yes! There is a full 30 day money back guarantee. If you're not happy, I'll give you a full refund. Why should I buy this course instead of another? This course cuts right to the chase and teaches only the essentials you need to know to get started using Lightroom without any fluff or extras. Anne has taught software for decades, so she understands how to communicate without using techno-lingo. You'll find the course straight forward and easy to understand. When will I receive access to the course? Immediately after you purchase, you'll receive an email with a link to download the course. I still have a question, who can I ask? No problem, just send me an email at anne@amckinnell.com.